Euro Exim Bank is an international financial institution serving import and export businesses around the globe, facilitating trade finance instructions. 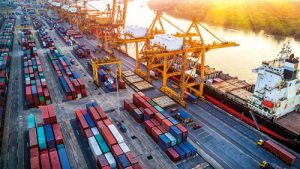 In today’s rapidly growing international markets – such as the new Silk Road and expanding commercial hubs – trade finance continues to play a strategic role in the flow and movement of goods and services. Euro Exim Bank specialises in connecting corporate buyers and sellers, enabling businesses to economically and efficiently export and import goods and services. The bank assists companies to fulfil their trade aspirations through financial instruments issuance (SWIFT MT700, MT710, MT760) and relay via correspondent institutions. The bank’s international teams of experts have years of trade finance and SWIFT experience of sophisticated instruments and transacting via an extensive network of contacts and counterparties covering Europe, Asia, the Middle East, Australasia, and South America with operations in St Lucia and London. With expanding international offices supporting trade finance, bank guarantees and advisory services, Euro Exim Bank is extending its capabilities to provide credit and pre-paid card issuance, foreign exchange, and third-party SWIFT services, for a full-service offering to corporations, financial institutions, and limited companies. Plans include a presence in Abu Dhabi, India, and West Africa. Trade finance covers many aspects of the financial market with complex documents, payments, and tracking. As such, comprehensive systems are essential to successful trade finance operations, and capturing data as close to the source is vital. To meet this need, Euro Exim Bank has developed a sophisticated trade finance workflow system named SimpleX – available to agents, partners, and key customers – which captures pro-forma invoices, creates first drafts, tracks the flow of information for each trade, and creates SWIFT format messages. In addition to invoices for the applicants, it tracks the due diligence, KYC, and compliance submissions through the life cycle of the transaction. The system also produces diarised entries so that events are alerted to operators for manual follow up where required. The bank’s corporate clients are mainly based in the active export markets of China, India, UAE, Africa, Malaysia, Indonesia, Thailand, and Vietnam, sending goods all over the globe, transacting such diverse products as ethically sourced frozen foods, used cars, scrap metal, fruit, rice, grain, nuts, garments, sewing machines, plastic piping, plumbing accessories, and ceramics, amongst others. By heightened compliance requirements to know your customer, their type of business, the source of funds, and proofs of business relationships, financial institutions are more risk-averse than ever. As a matter of course, Euro Exim Bank pays strict attention to UN, US, EU, and individual country sanction lists regarding prohibited and dual-use goods. We also track PEPS, adverse press, and use AI technology throughout our due diligence process. The bank participates in financial conferences globally and provides of thought leadership articles. Euro Exim Bank will be a key participant at the GTR Conference in Singapore. Kaushik Punjani is a business owner, trusted executive, board member, and team leader with a unique understanding of both technical and business requirements. He holds BSc (Chemistry) and D. Pharmacy qualifications. Mr Punjani has an extensive financial background and his roles have covered management and delivery of financial solutions at UK businesses at all levels. As director, he manages the board, overseeing preparation of financial reports and marketing and representing the bank at international events. In his role as head of Accounts, he oversees audit functions and liaison with external auditors and regulatory agencies. Sanjay Thakrar is a Trade Finance Specialist at Euro Exim Bank. With experience of running his own businesses, he has a unique perspective of both technical and business requirements. Mr Thakrar is keen to promote business growth and supports strong CSR programmes. He holds BSc and a masters’ degree. Mr Thakrar has an extensive financial background, working in invoice discounting. He is immersed in the entire life cycle of imports and exports from inception and pro-forma invoices, through freight forwarding, insurance, importers, transporters, shipping, and all associated financial aspects. Graham Bright JP is an experienced and technically proficient industry professional from a financial services and system vendors background. His extensive career spans 35 years and includes twenty years at SWIFT. His expertise covers sales and marketing through software applications, infrastructure projects (CHAPS and Enquiry link), enterprise and managed services, marketing (re-branding and launching new SAAS products), and partner/channels experience in international financial markets. Mr Bright is a regular contributor to trade journals (GTR, TFR) with published articles in financial technology press and the Financial Times. He is a regular speaker at international trade industry conferences and will be a speaker at GTR in Singapore. Georgette Adonis-Roberts oversees the legal aspects for Euro Exim Bank. She is responsible for leading legal strategy and structure in the EMEA and Caribbean regions and providing oversight for the bank’s regulatory, compliance, and cross-border functions. Mrs Adonis-Roberts is dual qualified barrister with a demonstrated history of working in in-house and in private practice in the legal services industry, banking, and trade finance sectors. Keen, dynamic, and career-driven she has extensive knowledge and experience in drafting legal documents, negotiating terms and conditions, assisting in the progression of commercial transactions, and corporate governance. Prior to joining Euro Exim Bank, Mrs Adonis-Roberts worked in private practice in St Lucia with a cohesive team at Du Boulay Anthony & Co, dealing with many complex legal matters and civil litigation for high-net-worth clients, international organisations, hotel chains, and banks. She has also worked as a property law specialist for Premier Property Lawyers on behalf of clients buying or selling residential properties in the UK and is an accredited mediator in civil and commercial training. Mathisha has over 18 years of experience and expertise in strategic marketing and business development across a wide variety of industries in the UK, Dubai and Sri Lanka. As Marketing Manager at Euro Exim Bank, she is responsible for the overall strategic marketing management that expedites the drive of the company, including planning and implementing promotional campaigns, overall responsibility for brand management and corporate identity and developing CSR initiatives. Holding an MBA from the University of Southern Queensland and the professional qualification from the Chartered Institute of Marketing (CIM), she holds an instrumental role with insight into business management and added exposure to a range of markets and cultures. Mathisha is a professional member of CIM and Australian Marketing Institute. She has worked as the Marketing & Administration Manager for Syngco Ltd and as the Senior Administration & Marketing Officer at Drydocks World Dubai.